e.thirteen components unveils its brand new web site, which includes the revamped pre-assembled 2006 SRS and STS systems, and the popular DRS dual ring system. Additionally, this is the public’s first close look at the new pre-assembled LG1, SST, and 32Special chain retention systems. The new web site also introduces the Guide Picker, a first-of-its-kind tool that helps riders choose the best chain retention system for their bike. You want me to go where? And ride my bike too! Just as I thought that my season was going to start winding down for the year, I get the news. 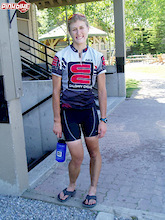 Me and my XC bike are going to Italy to compete at the World Mountain Bike Championships for Canada, yippee. My first trip to Europe, and it didn’t really sink in until I boarded the plane in Calgary due east to Toronto. A short four hour flight, nothing to it, and the seven hour flight to Zurich wasn’t that bad either (of course being bumped up to first class didn’t have anything to do with it at all, none what so ever). Though, as per usual for me and plane trips, only about an hour and half of shut eye was managed, in between free wine and an old Star Trek movie. Rider owned and operated, Bikes and Boards of Calgary Alberta. Every rider at one point or another thinks to themselves how cool it would be to have your own bike store. We’ve have been dreaming that dream a long time, and it has finally become a reality. Wow after some time out of the limelight the boys at Pist-n-Broke have scraped something togther for ya for the holidays. Just because we know you’ll be sittin around bored after you open all your gifts. We thought we would give you kids a sneak peak at whats to come in 06. At a mere 20 years of age, Carlo Deickmann has earned the respect of his peers. 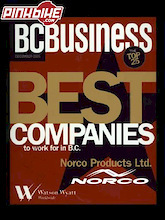 Norco Products Ltd, Canada’s leading bicycle manufacturer and distributor, was honoured with a 20th place ranking by BC Business Magazine & Watson Wyatt Worldwide, as one of the ’25 Best Companies to Work for in BC’. 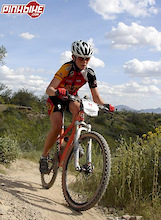 Heather Irmiger – winner of the NORBA NCS cross country at Brian Head and sixth place overall in the NCS Series – has joined the Subaru-Gary Fisher team for 2006. Syndicate's Goldman 6th at Banger in the Hanger, Yippy Do Da! The Banger in the Hanger, a skatepark competition, was held Friday Dec. 2nd at the indoor skatepark at Woodward West in Tehachapi, California and was put on by Black Market’s Carter Holland and Atomlab. This event drew the best group of jumping talent from around North America, and concluded the SoCal Super Tour. Dropin In New Zealand airing TODAY! Here is the schedule for Canada on Sports Net. 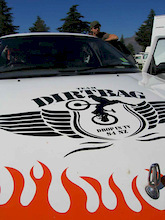 Episode one of DropIn New Zealand starts TODAY! Abbotsford BMX, a non profit society sanctioned by the Canadian Cycling Assc. welcomes everyone, to come out and check out our indoor facility at 32470 Haida drive Abbotsford B.C. BMX racers or soon to be? Come on out and join our club and race. First, before I get into this epic tale I’d love to say thanks to a few people for making this all possible and keeping it fun. Huge thanks to Mike Flaherty and the folks at e13 for putting on the super sessions for the riders. Thanks to Decline Magazine for throwing an awesome party, and their coverage of the events. I’d also like to thank Banshee Bikes for sending me down there, Danny for use of his Golf, Ross for being sweet, and Reid for taking pictures and being the most amusing person I have ever met in my entire life. As SRAM introduces two new componentry groups and sponsorship of two professional teams (soon to be announced), the company has also committed to a SRAM Neutral Race Support (NRS) program through 2007. The agreement puts five SRAM decaled 2006 Volvo XC70’s on the road, providing neutral mechanical support, at more than 80 events nationwide. Technical details for each stem will follow, but first there are some details Ollie Thomas at FUNN wanted to share. FUNN’s design team developed RSX DIRECT stem for Iron Horse/Mad Catz team racer Sam Hill over the last winter to his specifications. 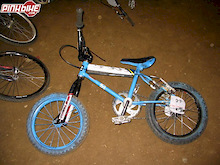 He rode the first proto type all year and they will be available to the public in 2006. Sam also uses FUNN's Full On bars to complete his ultimate cockpit. After a year of being hailed as "the best hardtail ever tested" by test riders across the globe, the Black Market MOB frame is returning for 2006 with only a few minor changes. The phrase "if it ain't broke, don't fix it" applied to the new MOB frame, which was modified only by increased tire clearance and a brake-side brace. Port Coquitlam, BC - Norco Performance Bikes, Canada's top race and freeride supporter is excited to welcome Gareth Dyer to the Norco Factory Team. The newest member of the Norco Factory Team is one of the most popular freeriders in the industry. 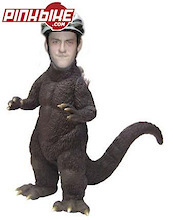 In addition to being a founding member of the Superheros and starring in Superheros 1, 2, and 3; Gareth has appeared in numerous films including: New World Disorder 5, Kranked 4, and Highways. Originally from Prince George, BC (the ‘true’ great white north), Gareth has called Whistler, BC home since 1998, when he moved down to pursue his dream of becoming a professional athlete. While in Whistler, he quickly developed his reputation as a versatile freerider by competing in a wide variety of contests from freeride & slopestyle, to dirt jumping & street. Since Interbike we have been one busy group here at Scott USA. Our bikes continue to be at the fore front of technology and more dedicated riders are getting on board to help us progress our brand quality that we expect. We have recently signed Kyle Ebbett to our gravity and street side of things, while becoming the bike sponsor for the Ford Women's Cycling team that will be racing our bikes at numerous XC venues. We are always looking to create better bikes for everyone out there, so we've hit the drawing tables hard too to bring you a new XC platform in the next few seasons. Vancouver, BC – Our agenda is simple, yet effective: create good quality, durable product that is designed to withstand today’s urban riding requirements. Mace creates paradigm shifting gear that challenges assumptions about how progressive cycling products should be made. For the past 23 years, Lake has been producing shoes with one goal in mind: let the riders focus on their riding. Lake strive to produce shoes that meet the riders exact technical needs while feeling invisible - never entering their thoughts as she/he concentrate on a faster, farther, more enjoyable ride. HUNTINGTON BEACH, CA — December 7, 2005 - Nema today announced the opening of its first mountain bike apparel retail showroom. The new store, based in Huntington Beach, California, showcases its current product and theme that have evolved into the 2006 collection. It's that time again. I am changing a few things over here at the HQ so there should be some outages through the day. I hope everything will be back to normal in a couple of days. On a side note, check out the new Buysell location feature that let's you select what Country, State/Prov, or even City you want to search in. Push Industries is now offering a direct replacement 2006 Factory Tuned Fox Float RP3 for Specialized Enduro. This Tuned Fox RP3 was developed using State-of-the-Art Data Aquistion and Leverage Ratio Analysis hardware and software from Race Tech, this is the ultimate performance upgrade for your Enduro! “Who makes a direct mount stem for RockShox BoXXer?” is a question I get asked on a regular basis. Quite a few manufacturers are making them and hope that more will follow suite. Here is a quick laundry list of the ones I know of. The best way to describe Mick Hannah’s riding style is ‘silent storm.’ He has an ultra-smooth style that outsmarts the most technical courses on the World Cup DH circuit. Yet in 4X, he has the ability to aggressively find the line that puts him past the competition before they’ve even snapped out of the gate. Fresh Meat #2-The cuts get juicier! Great bike parts are like food, you really can't go with out it. Yeah some food tastes bad and it might be good for you, but it's all about the stuff that looks good, tastes great and leaves you full. The same can be said for picking out new parts for your ride or riding gear for your self this winter. Look for the stuff that stokes you out and will make your set up the way you want it to be. Here is the latest installment of Fresh Meat for your dinning pleasure. Cove Bikes’ factory team riders are pedaling SRAM, RockShox, Avid and Truvativ componentry for the next two seasons.